Every year I attend Brazil’s main agribusiness fairs to keep myself up-to-date on the latest agricultural technologies. This year I made a point to visit Indigo Ag, which made its first appearance at fairs in Mato Grosso. 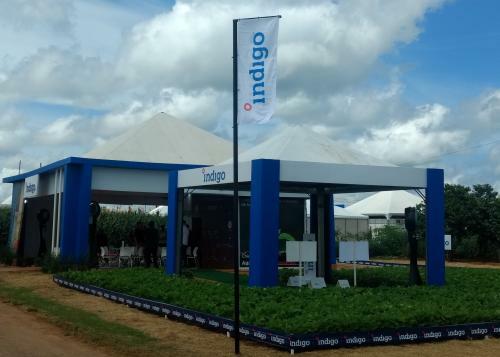 Indigo Ag made its first appearance at agricultural fairs in Mato Grasso, Brazil. In Brazil, Indigo’s first product offering is a microbial seed treatment for soybeans. Yield tests this year have resulted in significant productivity increases of 3% to 8%, with a high germination rate and early vigor. The company has already made partnerships with EMBRAPA (Brazilian agricultural research firm) and with large farms in the region. Other crops such as cotton, corn, rice, and wheat, will begin to be marketed in a few more months. Another platform that the Indigo Ag has partnered with in Brazil is a barter service called BART.Digital. 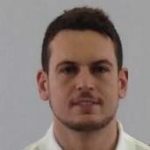 This startup employs blockchain technology to dematerialize and disrupt Brazil’s ag barter debt market, reducing the bureaucracy and increasing the transparency and traceability throughout the agricultural barter chain. Indigo also provides a platform to assist customers in making better planting decisions. Indigo created a “challenge” system, whereby if producers buy a product that does not perform, Indigo does not charge the price of the treatment. In all my career, I have participated in many negotiations of products and services. On several occasions I have seen my clients challenge companies that promised increments of production, but failed to deliver, and never one has the challenge been accepted. There is a contractual protocol for the challenge, which is audited by a third-party company to ensure a fair process. This process has caught the attention of farmers in my region. Knowing the product is guaranteed is a fundamental benefit for the farmer, but there is another huge advantage using this system. Many Brazilian farmers perform industrial seed treatment on the farm, and in some cases with old and deregulated machines. Sometimes they think they know what they are saving but the opposite occurs. Farmers lose productivity because they do not have the correct dosages in the seed that the industrial treatment offers, in addition to the practicality of just receiving the seed and planting. As a consultant and innovation promoter, I think it makes all the difference to have partners like Indigo Ag. We want partners that not only share in the profits but also the losses. This is very important in building a relationship with the producer and Indigo Ag has done so because it offers the security along with the quality of its product. Congratulations, Indigo Ag, on this initiative. I will follow its work closely and hope to highlight the second wave of Indigo products and services in Brazil in future articles.